The Seventeenth Judicial District Commission on Judicial Performance unanimously recommends that Judge Ted C. Tow III BE RETAINED. 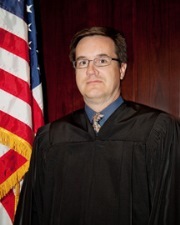 Judge Ted C. Tow III received his Bachelor of Arts from the University of Kansas, attended Wayne State University Law School, practiced law in Chicago and Denver, and was named District Director for the Colorado District Attorneys’ Council prior to being appointed to the District Court in the fall of 2010. During the past term Judge Tow’s case load consisted of 100% domestic relations. He is now assigned to the Court’s civil docket as a result of the District’s biennial assignment rotation. The evaluation used by the Commission included a review of Judge Tow’s survey results, courtroom observations by Commissioners, legal opinions authored by Judge Tow, his self-evaluation and a personal interview with the Commission. Surveys distributed to both attorneys and non-attorneys associated with cases assigned to Judge Tow provided broad statistics in assessing his effectiveness. Judge Tow received a strong approval rating by those with whom he has interacted in his courtroom. Judge Tow’s ratings from attorneys are higher than the state-wide average for all District Court judges standing for retention in 2014. Of attorneys responding to the survey, 90% recommended to retain, 8% not to retain, and 1% made no recommendation regarding retention. Of non-attorneys responding to the survey, 57% recommended to retain, 31% not to retain, and 12% made no recommendation regarding retention. (These percentages may not total 100% due to rounding). However, because of the small sample size of non-attorney respondents (44 total), the Commission believes it is appropriate to moderately discount the significance of those survey results. The Commission also notes that the non-attorney survey results were comparatively low in large measure because of Judge Tow’ domestic relations docket. Judges with exclusive domestic relations dockets typically receives lower ratings from non-attorney participants than other kinds of court dockets. Judge Tow indicated that a prevailing premise in his courtroom is to treat everyone with respect, fairness and dignity, to guarantee that everyone is treated equally under the law. Judge Tow noted that during his handling of domestic relations cases, he did his utmost to advance the best interests of the children involved in those cases. In addition, Judge Tow instituted an effective system of telephone conferences with counsel to handle routine or short-notice matters, thereby avoiding scheduling delays. The Commission notes that at the last check of Judge Tow’s caseload, he had no cases that remained open past the State’s benchmark period. Based on its review, the Commission unanimously recommends that Judge Ted C. Tow III BE RETAINED.